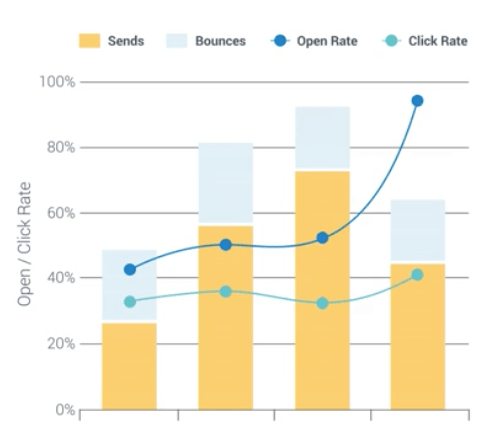 Email marketing is where Constant Contact puts the majority of their efforts. But to be honest, you’re likely to think this comparison is overwhelming bias after reading this particular feature review. So, please take a look at our other comparisons to see the attempt at being objective before reaching any conclusions. Analytics including opens, clicks, etc. Constant Contact does have an edge when it comes to templates and media resources. They offer multiple visual templates, a drag-and-drop builder and a library of stock photos. Gist doesn’t offer these features yet. However, Gist wins out when it comes to affordability. We’ll cover pricing further down in this comparison, but it’s worth noting here. The prices go up from there. With Gist, you get 500 contacts for free and up to 2500 contacts for our other plans (+$10 per 1000 after that). To put that in perspective, Constant Contact will give you up to 2500 contacts, email marketing and a touch of automation for $70/mo. 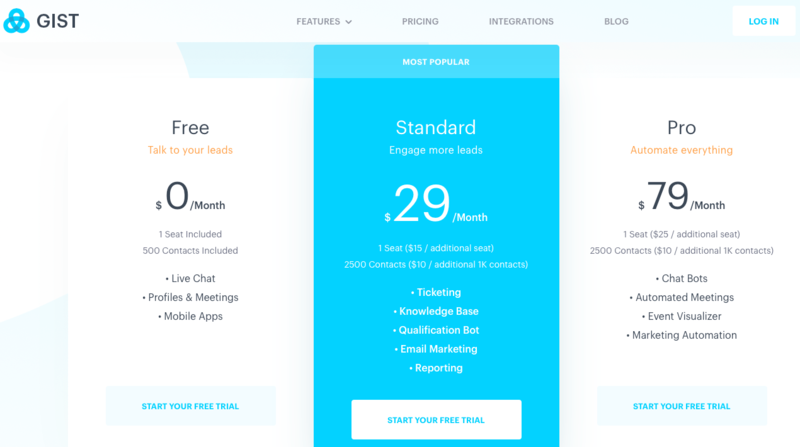 Gist’s most expensive plan is $79/mo and offers our entire suite of tools — and up to 2500 contacts. 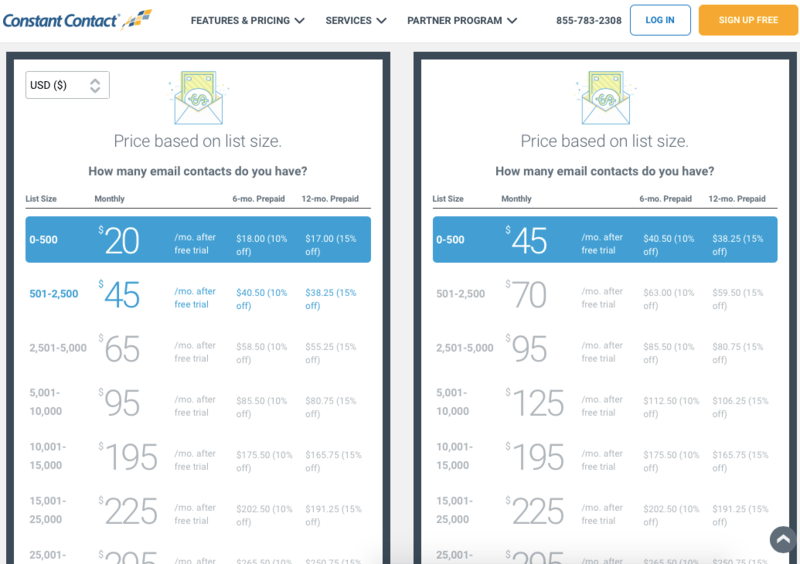 Starting at 2501 contacts, Constant Contact will cost you either $65/mo (for their most basic plan) or $95/mo for their “Email Plus” plan. Another honest moment, if you need to have images in your email, there are other email marketing only tools that are better than constant contact. 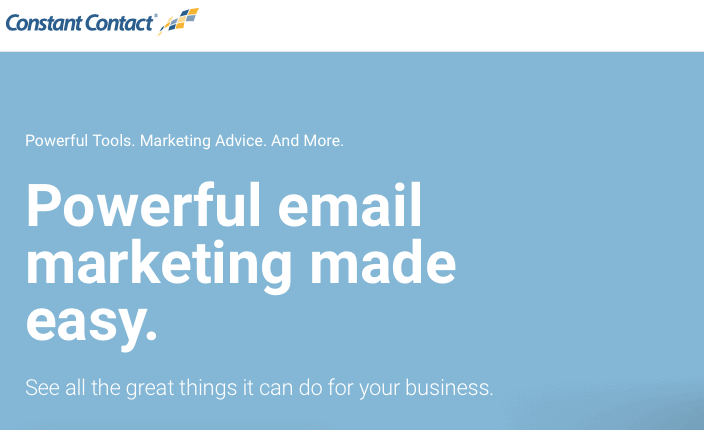 While Constant Contact is better at helping users create visual emails, Gist wins on affordability and function. Even if visual emails are vital for your marketing, I still wouldn’t recommend Constant Contact. Constant Contact has all of the basic automation tools we’ve come to expect from an email marketing solution. 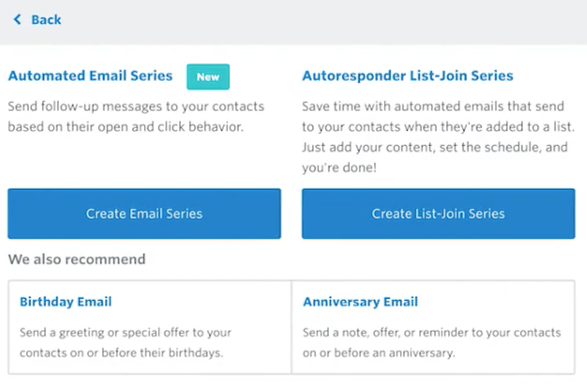 However, Constant Contact’s automation is basically an intuitive scheduler for their emails. If someone signs up via a form, you can start a campaign. You can then create emails to be sent out in a drip. Gist offers these same automations in addition to many more. 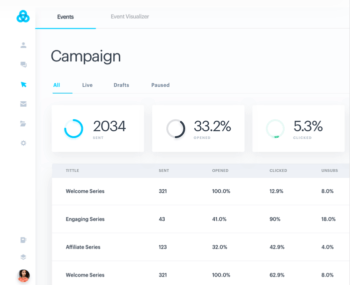 You can trigger actions based on pages visited, create tags based on events that happen on your website or even have automations based on how users interact with your app. If you want automations across your site (or app) and not just when emailing your list, Gist is the clear winner. Both Gist and Constant Contact have a basic form creation tool — they even look very similar. However, the forms on Constant Contact are better in a couple of ways. Some forms are “dynamic pop-ups” that show up in content on a page without really being a “pop-up”. They’re less intrusive, but still very eye-catching. Google’s ReCaptcha is included in all the forms, ensuring that most signups are real accounts. We could rehash the pricing, but feature is the most apples to apples we’ve seen and Constant Contacts forms are better. Having the ability to chat live with visitors to your website could mean the difference between making a sale and not making one. While Constant Contact is a well-known email marketing solution, they don’t have a Live Chat. 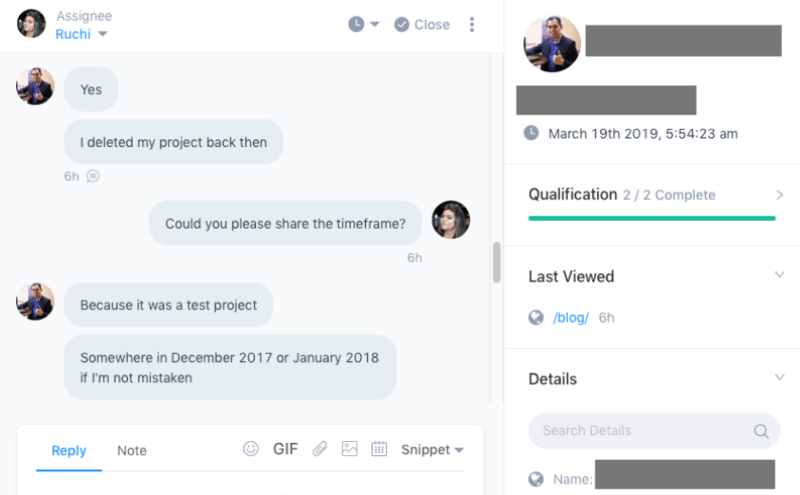 Gist’s Meeting Scheduler tool allows our users to hook up their Google Calendar, set up when their available and send a custom link to anyone who’d want to have a more personal chat (e.g. a call). This is another feature Constant Contact doesn’t offer. A meeting scheduler is a great way to get more conversations and without a similar feature — Gist is the winner. 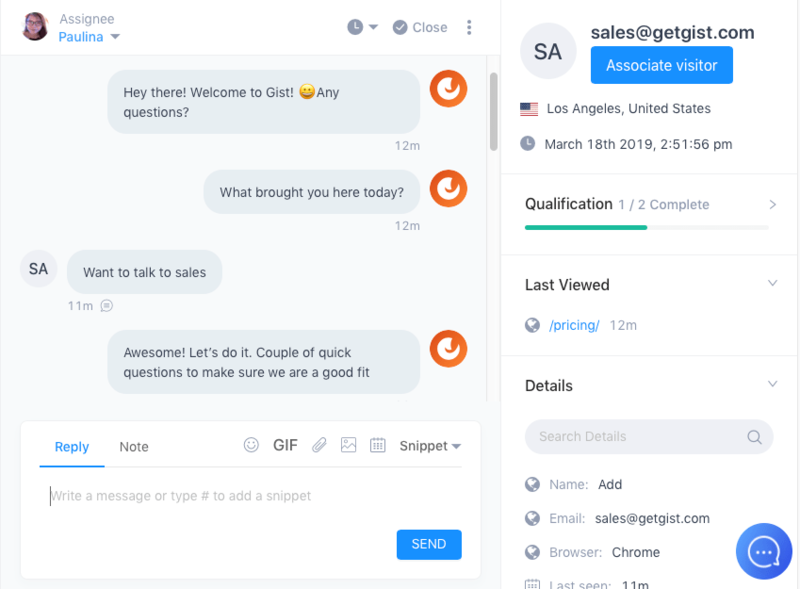 Gist’s Help Desk allows you to communicate with your users and paying customers, organize team members and ensure that all customer support issues are handled quickly. 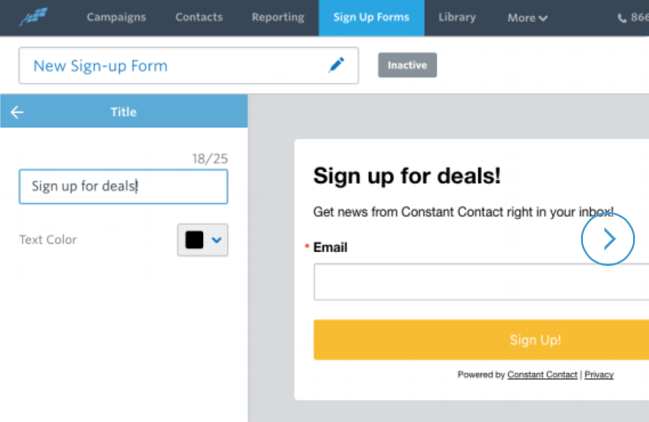 While you could create an email account specifically for support issues, Constant Contact’s tool is more for marketing content — not support. They also don’t have any help desk functionality. 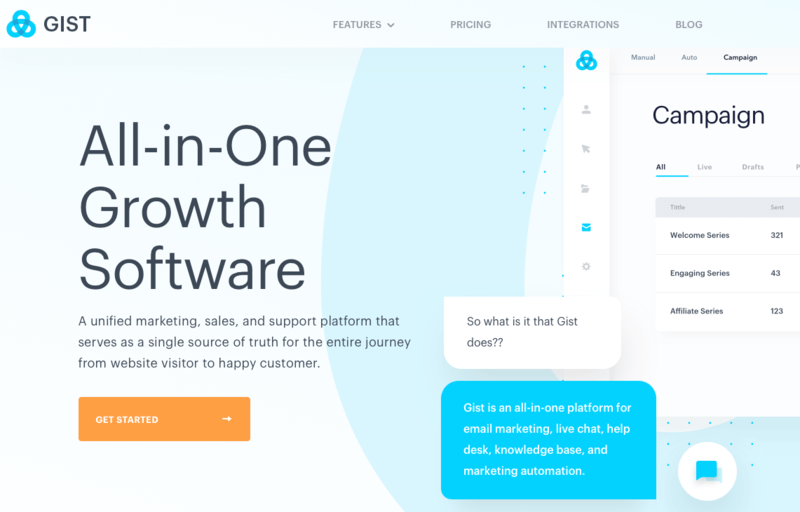 Between the two, Gist is the only platform that offers a help desk. Gist users can easily create articles that are immediately searchable and well-designed. 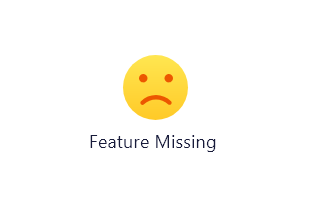 This is another feature that Constant Contact does not offer. If you have complicated products or processes, Gist is the only two between the two that allows you to explain things in a knowledge base. Gist Chat Bots are like having reps 24/7. 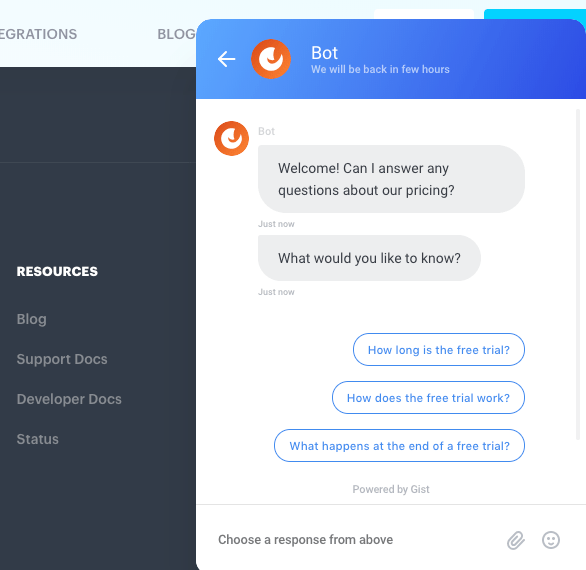 Our bot creator is simple-to-use and doesn’t require any coding. Constant Contact does not offer a chat bot tool. There’s not tool to compare here, which means the win goes to Gist. Constant Contact allows basic events to be tracked, when those events occur in and around the emails you send. Since this falls more under the typical email marketing features, it’s not really event tracking. Gist’s Event Tracking allows you to see virtually every move that happens on site, in app and in emails. You can even create custom events and use those tags to create automations with our marketing automation tool. Gist is the only one out of the two companies to offer comprehensive event tracking. We already mentioned a little bit of the pricing, but we’ll describe both Gist’s and Constant Contact’s plans more in-depth. There are two types of plans “Email” and “Email Plus”. There are multiple price points within each plan based on the number of contacts you have. 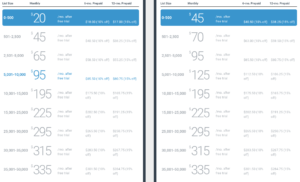 Here’s a screenshot to help you see (Email plan is on the left, Email Plus on the right). Features between the two plans are quite different. Most automation features don’t kick in unless you are on the Plus plan (except for abandoned cart and resending to non-openers). Gist’s 3 plans are a bit more streamlined and not directly based on contacts. Standard Plan: This level opens up things a bit more including the help desk, knowledge base and reporting (among other things). Pro Plan: This is every tool Gist has to offer for one monthly cost. Note: After 2500 contacts, it’s $10 for every 1000 contacts you add. Even if Gist only offered the same features as Constant Contact, we’d still be the more affordable option. Factor in all of the tools we have that they don’t and Gist takes the win on pricing. Not trying to be overly negative, but if you decide that an email marketing tool is more your speed and you don’t need the functionality offered by Gist — you may want to try another service besides Constant Contact. That said, the full platform of Gist is geared to be the all-on-one solution for most businesses. Gist wins against Constant Contact overall. Interested in switching from Constant Contact to Gist? Here’s a guide for migrating specifically from Constant Contact.